In eight games played, Schon has scored seven goals to lead the Cougars. Each month from September through June, The Cherry Hill Sun features an athlete from Cherry Hill High School East or Cherry Hill High School West as its Athlete of the Month. Cherry Hill High School West junior Elliott Schon admits it took him a little while to pick up ice hockey when he started playing at the age of 4. He even recalls his dad bribing him with candy bars so he’d go on the ice. When asked why he began enjoying the sport of hockey, Schon’s answer was fairly simple. “I just liked scoring goals mostly,” Schon said. Schon has been scoring plenty of goals so far in his first season with Cherry Hill East ice hockey’s varsity team. In the Cougars’ first seven games of the season, Schon scored a team-leading seven goals. Entering Cherry Hill East’s Dec. 21 game against Clearview, Schon ranked seventh in the South Jersey High School Hockey League’s Tier II division in goal scoring. During his playing career, Schon has skated for a slew of travel teams, including the Grundy Grizzlies in Bristol, Pa., the Igloo Jaguars in Mt. Laurel, the Blazers in Philadelphia and Virtua Hockey based out of Pennsauken. Schon’s current travel team is the Philadelphia Little Flyers. 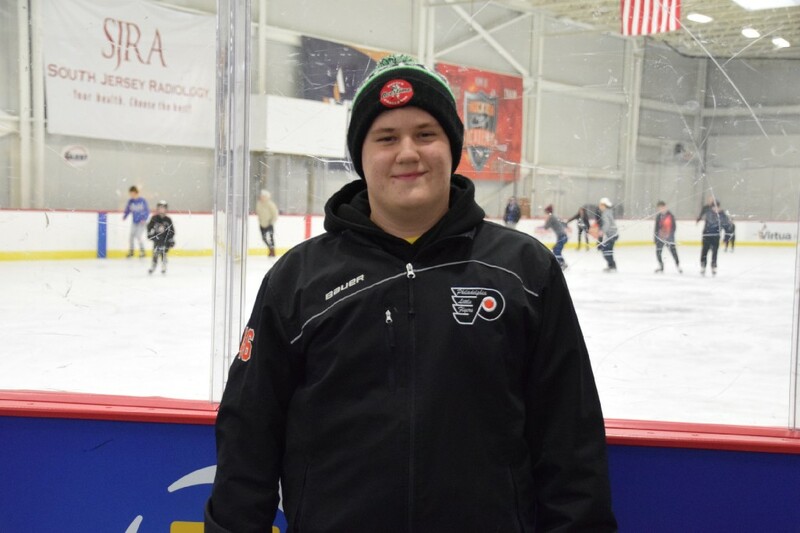 Schon first joined the Cherry Hill East ice hockey program in his sophomore year, as he wanted to have the opportunity to play with some of his high school friends. Despite being named Cherry Hill East, the hockey team has players from both Cherry Hill high schools. Schon played with the JV team his first season and had some success, scoring three goals and four assists. Schon’s season was cut short, however, when he suffered a broken leg during a game with his travel team. It took Schon two months to recover from his injury. He said it was disappointing to miss time and watch his friends enjoying themselves on the ice. Entering this season, Schon was optimistic as he moved up to the varsity team for Cherry Hill East. Schon has spent most of his season playing on a line with junior Calvin Aliferov and freshman Jakob Mutschler. Mutschler has four goals and four assists so far this year, while Aliferov has two goals and two assists. Schon credits some of his goal-scoring success to some of the instincts he has developed in the offensive zone. “I’m pretty good at awareness…getting to the net and finding the soft spots,” he said. One area Schon has tried to improve in for a number of years has been his skating, particularly with getting a quicker second step. Schon admitted he wouldn’t have thought he’d be averaging a goal per game two months into the season. However, individual statistics are also something he’s not preoccupied with. He said the best part about playing for Cherry Hill East was getting to skate alongside his friends from school. “It’s about having fun with my friends and getting to see a bunch of people from my school at the games,” Schon said. Schon is hoping to score plenty more goals with Cherry Hill East this season as the team shoots up the standings. After a 2–2 start, the Cougars won their next five games in a row. After a break for the holidays, Cherry Hill East is back in action on Jan. 4 against Holy Lenape Valley at the Igloo Ice Rink in Mt. Laurel.